Kesari Tours promises fun and action in its 11 days and 10 nights escorted tour package for Leh Ladakh Manali. This complete fun picnic from Kesari Tours is meant to be a total fun package which has been efficiently handled and planned to make your holiday exclusive and memorable moment of your lifetime. Kesari Tours as one knows is one of the best when it comes to holiday and tour planning. The tour packages of Kesari Tours are tailor made for the guest's convenience and comfort. Other than their Cost Saver Tour packages, Kesari Tour also plans Group escorted holiday all over the world. Planning holidays with Kesari Tours also has its own advantages, like no hidden costs or no compromise when it comes to sightseeing or hotel traveling. Tourists always have a lot of good comments when they return back to their home town after enjoying the exotic holiday packages of Kesari Tours. The following itinerary is mentioned for the 10 nights and 11 days Escorted Group Holidays from Kesari Tours. The 10 nights includes 10 hotel stay nights. In these exclusive holiday tour of 11 days, tourists get to spend 1 Night in Chandigarh, 1 night in Manali in Himachal Pradesh, 1 night in Keylong, 1 night in Sarchu, 5 nights in Leh, 1 night in Diskit. This amazing trip begins with your arrival in Delhi from where you proceed to Chandigarh. Check in at the Chandigarh Hotel and relax from the evening as a great day awaits tomorrow. The day begins and you proceed to Manali in Himachal Pradesh. 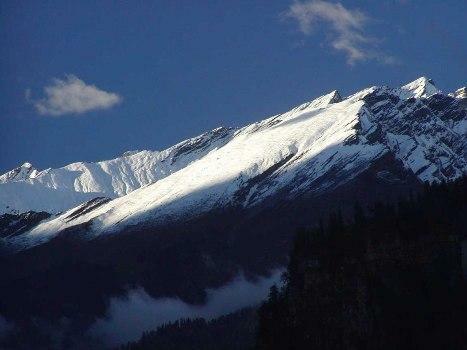 Reach Manali in the evening and relax at your hotel for the day. Today you proceed to Keylong via Rohtang Pass. Rohtang Pass is highest motorable roads in the world and it's an amzing sight to be enroute on this road. After reaching Keylong you visit Lahaul and Spiti Valley and then visit the most famous temples located amidst this Lahaul Valley. Night you spend at a hotel in Keylong. A great sightseeing you can expect today morning by visiting excellent places including the beautiful Buddhist monasteries which this places are famous for. After visiting these monasteries, drive down to Sarchu. While driving down to Sarchu do enjoy the scenic view that the route has to offer. You will be reaching Sarchu via Dharcha, Paiseo and Baralacha La. Tonight you stay in Sarchu and relax. Today you proceed to Leh in Ladakh via Nakila Pass. You travel across Takhlang-la the second highest motorable roads in the world. Finally you arrive at Leh in the evening and call it for the day in a hotel at Leh. An exclusive sightseeing of Leh is what awaits for you today. 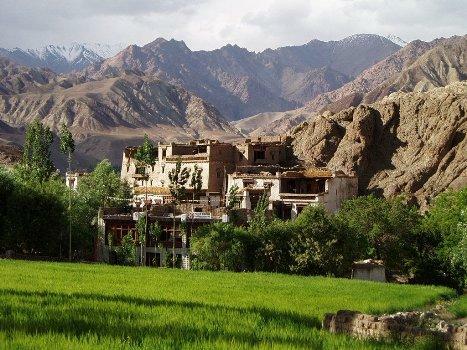 Visit the Indus River, Shet Palace, the Thiksey Gompa Hill Top Monastery, Hemis Gompa in Ladakh and Stok Palace Museum. This is day when you explore the most beautiful Pangong Tso Lake. Visit this 14500 ft lake, one of the largest in Asia, where you can witness unusual and rare animal and bird species. The day begins with a beautiful drive to Nubra Valley, which lies to the north of Leh and is accessible from Khardung la Pass. Enjoy great sightseeing enroute as the drive offers spectacular scenery and picturesque sights of beautiful monasteries and various passes. The valley is known for its trekking options and also for some of the most known monasteries located amidst the valley. From Khardung la you drive down to Khardung Village and then visit the picturesque country side. Enroute you pass the Shyok River. Thus by evening you arrive at Diskit. Today morning you visit the Diskit Monastery and attend the morning prayers. In the afternoon you drive down to Hunder Gompa which is located amidst innumerable chortens and is really impressive. The whole sightseeing for the day revolves around the monasteries of Leh and then you drive down to Leh in the evening. Visit the most amazing Shanti Stupa today. Other than that pay a visit to 16th Century built Ladakh Palace, the Zansar Mountains, the Spituk Gompa and much more. Relax your final night of the tour at Leh. Today this beautiful journey comes to an end as the tour concludes by you boarding the flight of your hometown from Leh. - Delhi - Chandigarh a/c coach train fare. - 1 liter drinking water per person per day. - Non a/c coach travels throughout for sightseeing. I am first time reading about Leh Ladakh Manali Escorted Group's Tour Packages. The pictures are very nice and i like it.